Origin of the Universe is a rather dark subject. The Big Bang Theory in Cosmology could explain the origin of the entire Universe or just the creation of one part. Philosophy of formation and evolution of the Universe. 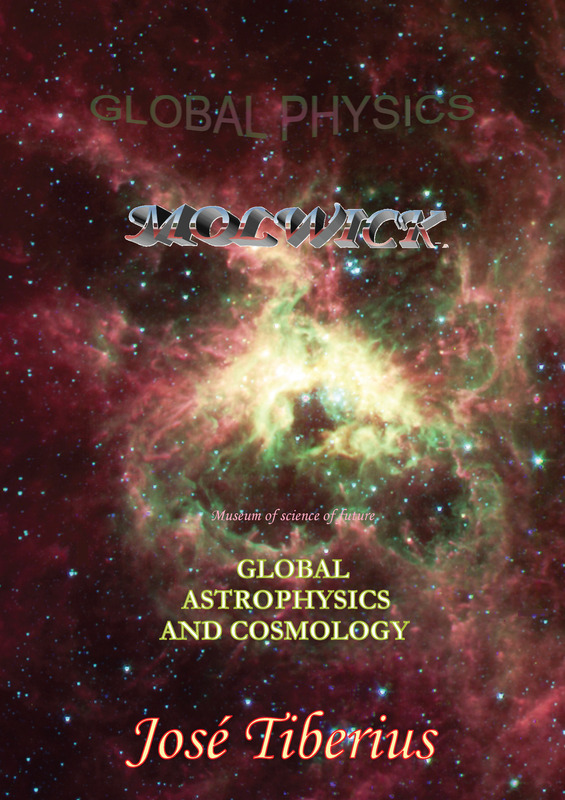 Cosmology focuses on formation or origin of the Universe, as well as its evolution. 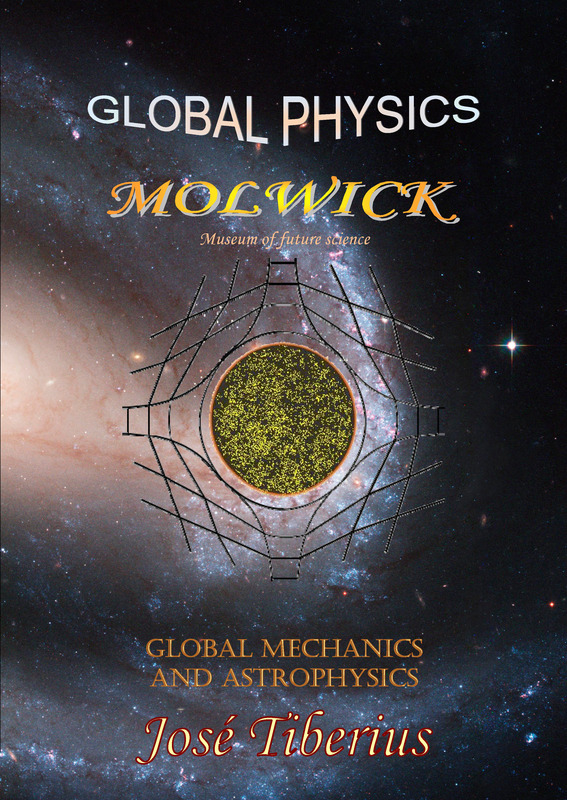 The Big Bang Theory is generally accepted; however, from our point of view, it has significant problems when it comes to the Philosophical Principles of Astrophysics mentioned in the introduction of this book. Also, the recent measurements on dark matter and the expansion of the universe –2018– induce us to think that the age of the universe is the time corresponding to the observable universe. Also, on the page on Fundamental Forces of Matter is a list of elastic properties of the reticular structure of matter or Global Aether –quantum foam, strings or space-time with mechanical properties. Those characteristics together with processes and mechanisms explained here lead us to consider a stationary or cyclical universe on a larger scale than the observable universe. We still have not entirely understood how one can say the origin of the Universe was an initial explosion, and yet the location of this explosion is unknown. 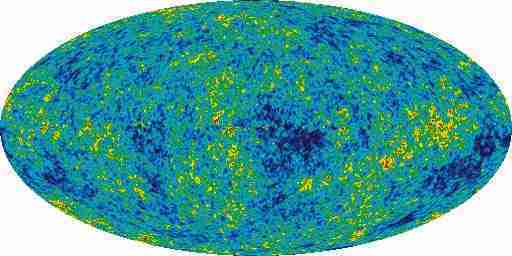 We must admit the egg-like shape of the Universe according to the satellite WMAP is very pretty. We suppose it represents the Universe as seen from the Earth, and that its form is due to something similar to an orange peel in a two-dimensional plane. The problem of the spatial origin of the Universe has a corresponding problem in time. Given we have detected light from galaxies emitted over 13 10^9 years ago, and similarly in the opposite direction, it would appear the Universe should be older than the 13.7 10^9 years said to be its approximate age. In the opposite case, both light and the mass would have traveled from the initial location of the Big Bang to the two extremes to emit the observed light. We imagine this is why recently one hears more about the concept of observable Universe, which we believe to be much more accurate. This theory attempts to solve in some way the previous two problems, as it proposes a time of expansion of the Universe, at a much higher speed than the speed of light. Although with the detections of gravitational waves there seems to be a new perspective on the rate of expansion and age of the universe. Here, another problem of Modern Physics arises, due to its insistence on including generally accepted and incompatible theories at the same time. There is probably some sort of quantum logic at play. However, it is also true that their incompatibility is generally accepted; therefore, one of them must be incorrect. Some people say that all proven theories can improve, but that it does not mean they are wrong. Quantum ingenuity! Every year, there are attempts of new experiments to prove the Theory of Relativity again. Alternatively, they could be to improve it! The importance of this discovery lies in the fact that these two celestial objects make it possible to study with high precision the curvature of space-time over there, at the extreme conditions, which are present in the surroundings of a black hole. Concepts such as space and time are created or altered but cannot be proven. What’s more, Einstein’s Theory of Relativity does not demonstrate the relativity of space or time; it merely incorporates it as an axiom. Why do they always seem to insist on not making things clear? In our opinion, of course, Science in general and in particular Cosmology should have logic and common sense, to not deviate and become other branches of the study of life. In other words, we do not want to go into theories discussing the origin of the Universe based on different physical dimensions or existence of parallel universes, for us, these ideas of space form part of the realm of science fiction and abhorrent logic. There is an epistemological problem when it comes to the concept of the origin of the Universe. The idea that something could arise out of nothing makes no sense in the logic of our world or our nature. We suppose that, as our nature is finite, any concept that lacks limits, such as eternity or infinite space, evades our internal logic. In a particular way, same philosophical argument supports the Principle of Global Conservation; things either transform or disappear entirely, but the latter is usually called magic and not Cosmology or some other branch of Science. Within this scientific weakness, we can find various examples. The worst part is not to propose incorrect solutions, but to manage to make them accepted. It has merit to deny the need for convincement in Science because the human brain is not ready for it; it sounds to us like religious faith regarding the origin of the Universe, or like a primary school class. Another subject is all religious ideas on the formation of life and the creation of the Universe; they make approximations not supported by logic. From a philosophical point of view, we cannot see any difference between whether the world was born 6000 years ago, or a few billion years ago. The creative element is there in both cases with an exemplary singularity. Another example of the nature of life and the human race is the yearning or hope for immortality; reflected in this case by the triumph of Einstein’s Theory of Relativity. Of course, it does not matter if it is incompatible with Quantum Mechanics, the theory of inflation or the most basic logic one could imagine. It is even inconsistent with quantum logic! Despite mentioning these religion-related aspects as scientific weaknesses in specific theories, we would like to make it clear that we understand why they exist. Many people believe that there is something different or something that the laws of Physics cannot explain; it is spirituality in a generic sense, or more simply: Love. This position is not conservative in Cosmology; it would be almost impossible to fit such a situation with proposals of change presented in this book. It is merely convenient to distinguish between reasonable adjustments and changes that aim to justify the lack of standard logic or common sense itself, such as quantum logic. It is also not necessary to be a radical skeptic to be uncomfortable with the general acceptance of incompatible theories. After having discussed the philosophy of formation and origin of the Universe, let us briefly see the evolution of the Universe independently from the observer. We would like to call attention to aspects or characteristics of the Universe that would not alter due to a philosophical change towards in the more intuitive paradigm of Global Physics. The speed of light is constant, though this has many conditions that would make it variable if not maintained. Alterations in the atomic clocks, as they will continue to alter by mechanical effects of the Global Aether, this may be due to its displacement, its longitudinal tension, the tension of longitudinal curvature –gravity–, or velocity of the mass. The origin of the Universe as an enormous explosion, or Big Bang, though this may have been the origin of just part of it –Small Bang. Electrons will continue revolving around the atomic nucleus in the typical Dance of the Wavons. The members of the Inquisition will continue to be inquisitive, just somewhat less skeptical. After all, it would not surprise us if current maps of the Universe were somewhat confusing, rather like the maps of the Mediterranean in Ancient Greece. The most important aspect, however, is that reasoning will become much more powerful and it will go back to be intuitive and comprehensible.